We have heard it many times “Oh, he/she is so lucky, he/she is born with a silver spoon”, yes, one is lucky when someone is born in a high class family, when someone is a kid of famous celebrity or businessman, luxuries are given to them like a daily need or requirements but they also need to put extra efforts and hardwork to maintain that dignity and caliber, it is not that it’s easy to be a child of a star, politician or bussiness person, people expect them to be a shadow of their parents, to be as successful as them, it pressurises them more. 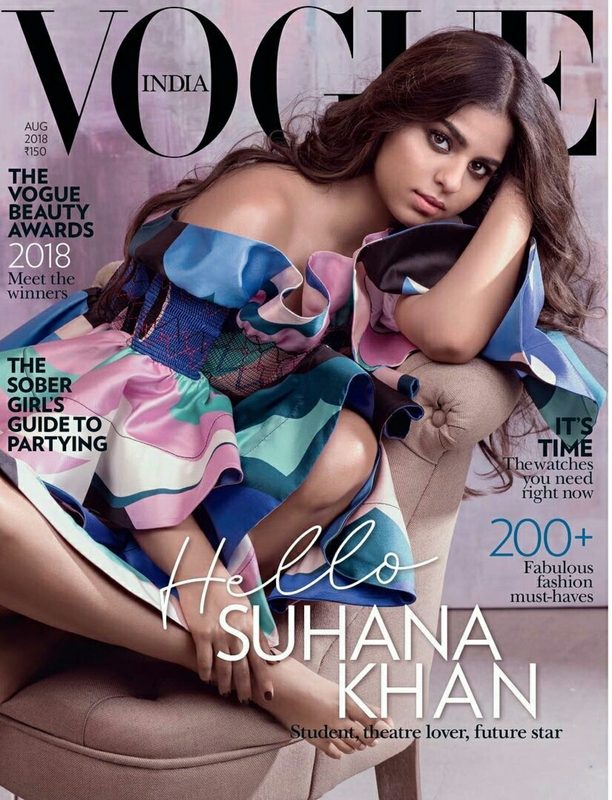 Today metroholica is talking about the cover girl of Vogue’s august issue, she is Suhana Khan, daughter of the king of bollywood Shahrukh Khan and she is looking pure divine, gorgeous, stunning, young and graceful, we mentioned young not just because she is just 18 but one can clearly witness her energy, spark and innocence. 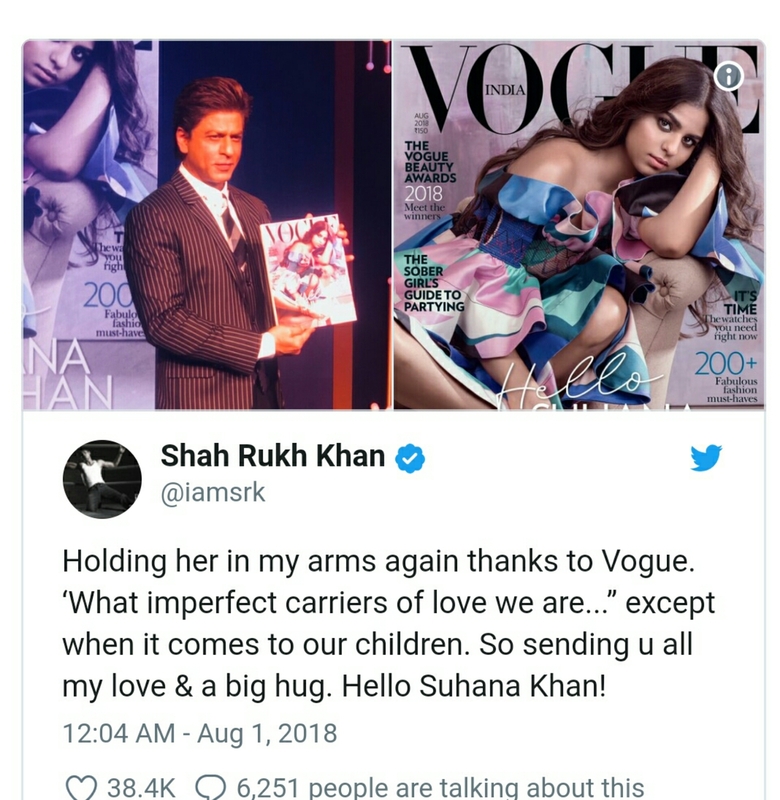 No, she is not going to make her debut in Bollywood anytime soon, though the bollywood wants her too, nobody knows why is she on the cover but the social media is going crazy over this news, while the bollywood is praising her, public is not supporting it, they are saying it is nepotism, unfair etc etc. Now, what is nepotism? It is favouring the one who is in power, giving job to them but it is not the new thing, on the other hand we believe it becomes much harder for a superstar child to deliver or match the expectations of public, it is not that if they are given a chance, they will do great, sometimes they fail to deliver because of the pressure on them, whatever the public is thinking we just know that she is looking phenomenal on the cover, the confident she has shown is rarely seen in a 18 year girl old, we are adoring her. Awww!!! Was’nt that too sweet? Well, metroholica wishes Suhana a very good luck for all her future endeavors, may she be great in whatever she does. And for all you metroholicas…..Be Fashionable….!! !